Radio Flyer is a household name for every American kid! I know for sure we all know about Radio Flyer in our home. It started with the Cyclone a couple years ago and this summer we were introduced to the most amazing thing EVER! The Radio Flyer Ultimate EZ Fold Wagon has been used more in the past couple months than ANY stroller in my garage! Seriously! We love this wagon. It's a little pricey at $199, but if you use it a lot with trips to the shore, around the neighborhood, etc - it's worth it. We loved getting to test that out contrary to the seven year old who tried to take over the wagon! ha. Yes, seven is a bit OLD for the wagon, but he still fit! Radio Flyer has been a huge hit for many many years with families and I've always wanted to get one but just never did. Recently, the Ultimate was sent to me to review and we LOVE it! Is there a Family Guy fan living in your house? Whether it's rolling your eyes at Peter or wondering what antics Stewie will get into next, it's hard to not see a little of yourself in the Griffen family. 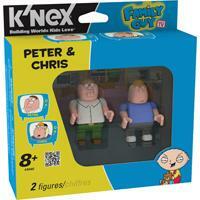 If Family Guy is a family favorite, then check out the newest playsets from K'NEX! Build Peter in the family Station Wagon from the hit TV show Family Guy! Includes a buildable Peter figure, dressed in his work suit, plus K'NEX rods, connectors and bricks to build a moving replica of the family's red Station Wagon from the show! 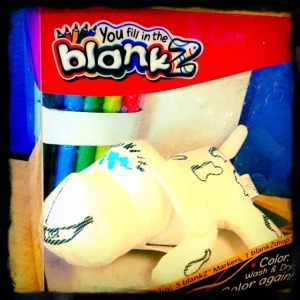 Or, create Stewie in his Time Machine. 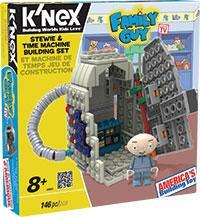 The set includes a buildable Stewie figure, dressed in his PJs, plus K'NEX rods, connectors and bricks to build a replica of his Time Machine with a working door from the show! Make sure to add the rest of the family: Build your favorite characters from Family Guy Sets include Brian and Meg, Peter and Chris, and Stewie and Lois. 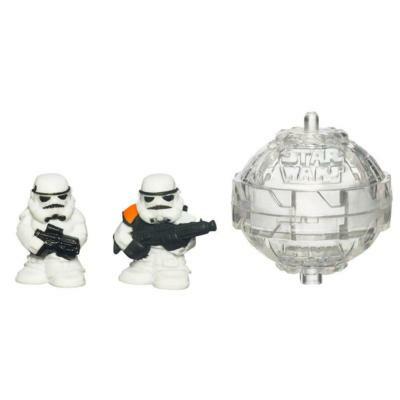 Collect all 3 buildable figure 2-packs to get the entire family! 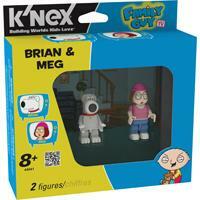 You can find the Family Guy Building Sets and Buildable Figures at Toys R Us, amazon.com and knex.com. When I visited New York City back in February, I had a chance to play with the Star Fighter Pods. They were a huge hit with not only the kids but all of the adults as well! Micro heroes, mega battles! Iconic Star Wars characters get a collectible new gaming twist, as players use Figher Pods to knock down as many figures as possible. Spin, Launch, or Roll your Pod into battle...even connect your Pods together or place your figures on top or inside of them for extra "power"! More than 100 Star Wars Figher Pods figures available in a unique new style. Each sold separately. What's better than having your child's favorite action hero in the palm of their hands? Probably not much at their age. Pretend that Spiderman is conspiring with Iron Man to capture Thor's Lightning Hammer! The possibilities are endless! Hasbro offers a wide variety of action figures from all of your favorite brands like G.I. JOE, TRANSFORMERS, STAR WARS AND MARVEL! With such a wide selection of characters and story lines, it will be hard to choose which ones to put into stockings this holiday season, at such a great price point! Perfect for Dad! This realistic G.I. JOE is fearless. Compile a father/son mission for some added quality time both can enjoy. Your courageous Army Paratrooper figure is ready to brave danger in the air and on the ground! Put his jump pack on for the next daring dive into action and prepare him with his binoculars and flashlight. His parachute really opens when you throw him into the air! At 12 inches tall, with his helmet and goggles, tactical assault rifle, combat knife and pistol, what can’t he do? Will he be able to complete his mission? Only you can decide! New to the 12” G.I. JOE line is the U.S. Army Paratrooper. The highlight of the 12” figure collection, this figure comes equipped with a working parachute, authentic uniform and gear insignia, and a full array of accessories. 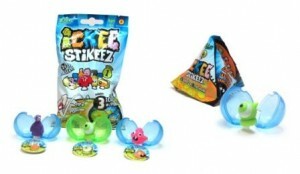 Ickee Stikeez are sold in little vending-machine type balls and are made to be collected. Parents can buy as many or as few as their budget will allow this holiday season and beyond. The best part about Zing's Ickee Stikeez is the suction cup on the bottom of the characters. Kids can stick them around their computer, put them in their lockers at school, or even stick them on the back windows of your car (with permission of course). There are 24 to collect, with names like Mouch, Zee-Noh, Nummy Muffin, Zparx and more! Ickee Stikeez retail at $1.25 for a single-pack and $2.99 for a triple-pack. The triple-pack assortments include three collectors Koinz™ that feature a number, which can be entered on their website for additional content, back story, and other cool videos. The Smurfs - Celebrating 50 Years! Would you look at this! Smurf figurines are back! 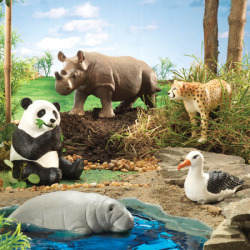 Made by the Schleich company in Germany. Smurfs throughout the ages are forever changing, just like us. Each set represents a new decade, celebrating 50 years of the Smurfs! Starting with the 1960's into the 2000's. Can't wait to see what our current decade will bring to the Smurf crew in 2019. 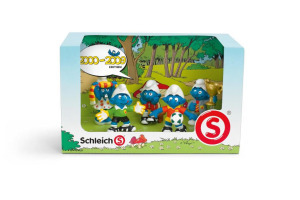 2000-2009: One of the Smurfs favourite pass times is playing football; this pack of five comes with a Smurfette Cheerleader, three Smurfs ready to play and a supporter. Smurfette can always be found cheering the Smurfs on, she is often joined at the sidelines by Lazy Smurf who is too sleepy to play. 1990-1999: All the Smurfs love to run and skip around their mushroom village but some also like to keep fit and take part in sports activities. This set of five comes with a swimmer who loves to swim in the near by river, a golfer who enjoys playing on their miniature course made by Handy Smurf. 1980-1989: In this pack the Smurfs are having a wonderful time gardening, they like to keep their village looking neat and tidy. The warm and sunny climate is perfect for growing lots of sarsaparilla plants which the Smurfs love to eat. 1970-1979: Although the Smurfs are all equal in their village they have lots of different professions. This pack has five Smurfs in, each with a different line of work such as a painter and a chef. One is a doctor wearing a white coat and a stethoscope around his neck; he often prescribes a couple Smurfberries to help the poorly Smurfs recover. 1960-1969: This scene is based on an original comic first published in 1963, the black skinned Smurf has been bitten by a black fly that has turned him insane and reduced his vocabulary to one word “Gnap”. The other Smurfs are trying to catch him before he bites them on the tail and passes it on destroying Smurf civilisation. Collect all of the Smurfs at Barnes & Noble. I know, I know, laugh it out. I was just way too excited about these new crazy haired, Shoulder Buddies. Who's the buddy on my shoulder? PEACE! Peace travel's the world, meeting new people and sharing his "Peaceful Smarts" so that we can all live together in happiness. He has the funkiest, or should I say "grooviest" hair! Shoulder Buddies are adorable collectible friends that kids can wear on their shoulders, backpacks, hats, shirts, hair…just about anywhere! Each figure has an embedded magnet that connects with a Magic Coin to help it stay securely in place. Shoulder Buddies each have a special “Smart” life lesson to share with kids (examples include friendship, music appreciation and fire safety). Their adorable belly symbols represent their special “Smart”. Shoulder Buddies come in dozens of characters – with over 30 new additions per year – so they are perfect for kids to collect, share and wear! For more info and to find out where the nearest retailer is, check out www.shoulderbuddies.com. This puts a spin on Power Rangers like you wouldn't believe! I just love their new costumes and super hero flair. For those of you that do not know, Power Rangers is an iconic kids action brand universally recognized throughout the world. In this latest installment airing on Nickelodeon, a new generation of Power Rangers must master the mystical and ancient Samurai Symbols of Power which give them control over the elements of Fire, Water, Sky, Forest, and Earth. The whole series includes action figures, vehicles, role-play items and Megazords. The 6.5" Switch Morphin Power Ranger's morph from a secret civilian identity to a heroic Ranger mode with the press of a button. Also flick a button to make a quick swoosh of the sword. It keeps the villains away! Retails for about $10.99. Deluxe Megazord returns with a sleek Samurai look and is a must have for children and collectors. Morph into ClawZord or Zord mode. Collect and combine with the ZordBuilder Collection (Cycles or Zord Vehicles sold seperately). Retail price is around $29.99. The Samurai Mega Blade is perfect for role play. The futuristic sword not only swings open from its compact carrying mode at a pull of a trigger, but it extends 2 feet long! Various battle sounds will make your kids feel like real Power Rangers, Samurai style. Buy it for the price of $24.99. 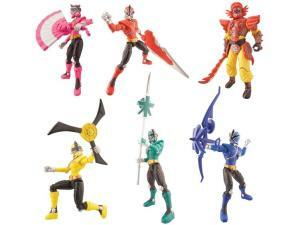 Get a glimpse of the Power Rangers Samurai collection on their website. Get ready for filth and fun with the Trash Pack gang. There are more than 100 Trash Pack characters to trade and collect with names like Soggy Tomato, Putrid Pizza, King Rat and Garbage Gull. Each Trashie figure comes in three different colors and is awarded a special status – common, rare, ultra rare, special edition or exclusive – depending on its collectability and how easy it is to find. 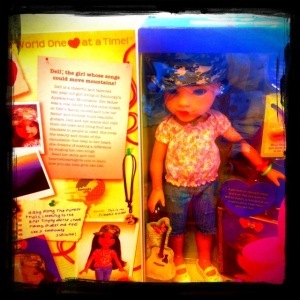 Kids are going to love sharing and swapping these collectible toys with their friends. Perfect for beginners to start their Trash Pack collection. It contains one large can, two Trash Pack characters, and one collector's guide for easy reference of all the Trashies™. A real can for a Trash Pack fan! The Trash Pack Collector's Trash Can is the perfect place to store their Trashies™ and small cans. Containing one trash-can shaped collector tin and two small cans, this Trash Pack set is an ideal gift for trash collectors. Kids will also discover two exclusive Trashies (Spew-Shi and Skummy Skull) in the Trash Can, which can hold up to 18 characters and small cans. Check out the collection, products and more on www.TrashPack.com.